Open shelving—are you crazy? I’ve heard that many times, but I love the way it looks and I love the way it works! These shelves are located right above the dishwasher and the silverware drawer, so putting up clean china and flatware is a breeze. To quote Kathryn Ireland “Open shelving helps prevent hoarding,” and who needs hoarding? (Have you seen that show—so scary!) In my attempt not to become a hoarder, I have installed open shelving. That’s my story and I am stickin’ to it! 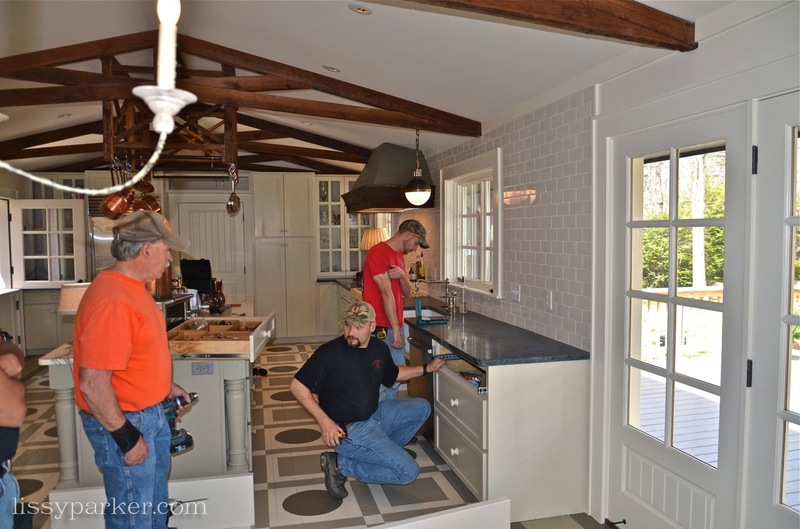 David Petite, of The Cabinet Shop in Rosman, N.C., is a master at cabinet making and installation. Take a look at the beautiful results. All photos by Lissy Parker for lissyparker.com.—you may ‘borrow’ my photos just please credit the source. 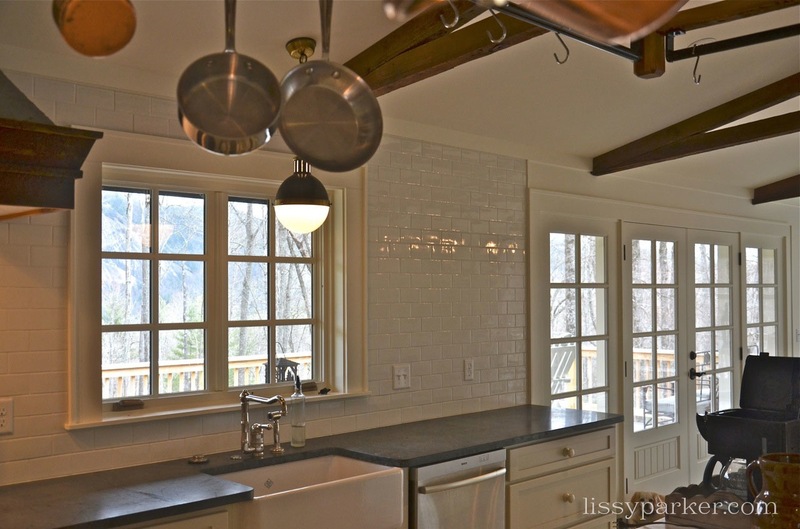 gorgeous….and those countertops, jealous. Soapstone? 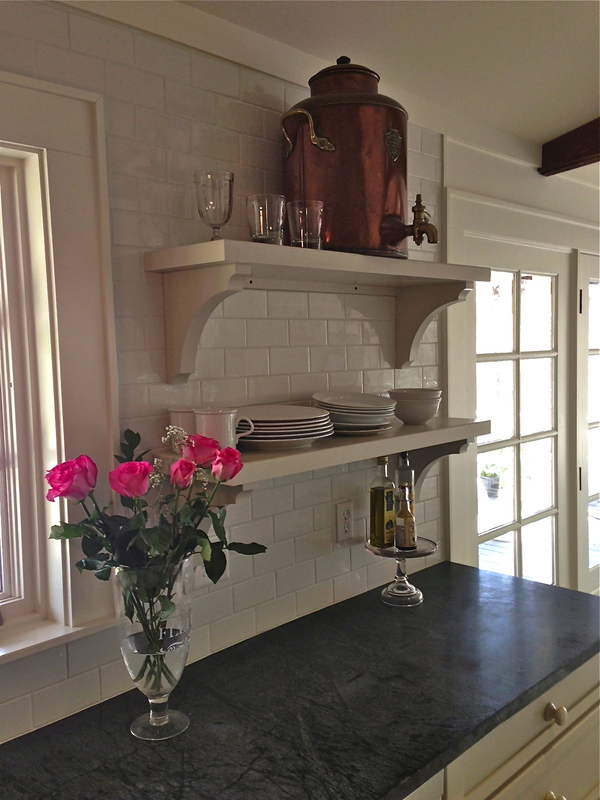 Yes, they are soapstone and I love them. I am applying a wax and oil sealer this weekend. Oh Lissy everything looks beautiful. When I get ready to do my kitchen I hope it will look as good as yours! Love, Love it. I love the big copper piece sitting on the shelf! Thanks Cathy, I have has that copper server for years. It came from the plantation shop. 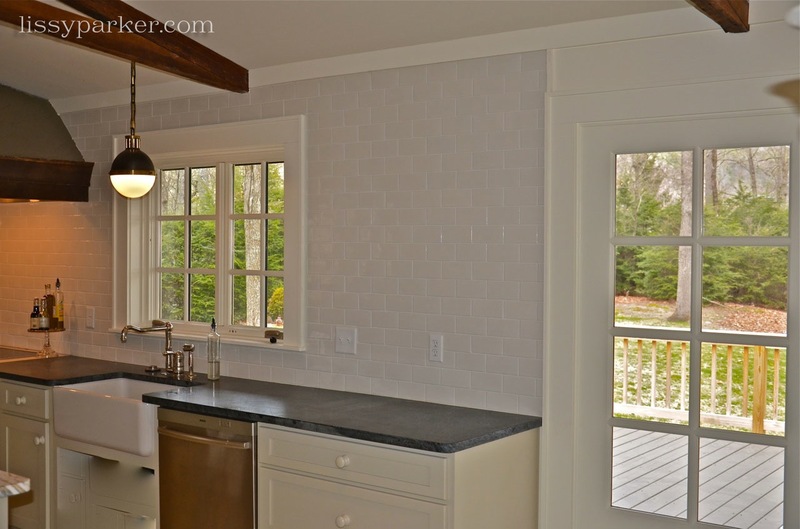 Love the shelves, the countertop, the kitchen – everything!! !